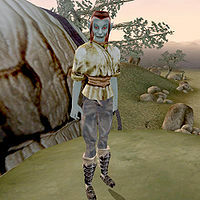 Valna Sippusoti is a Dunmer caravaner who runs the silt strider service in Tel Muthada. For a small fee, she will transport you to Helnim. This page was last modified on 6 March 2019, at 09:12.